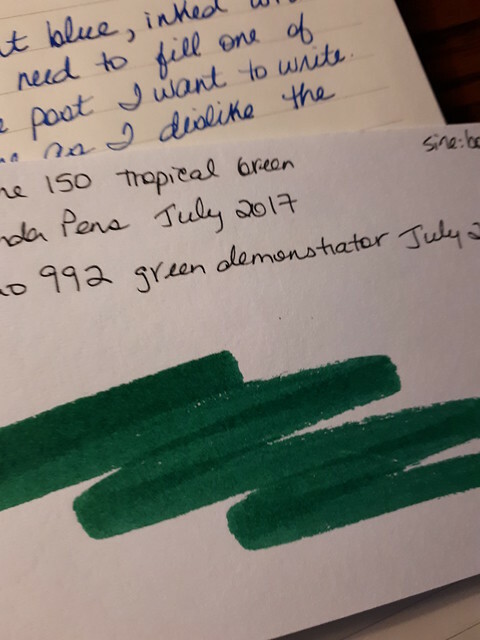 I enjoyed this article by David Caolo on unclutterer.com about his struggle to keep a journal. I was so moved by his plight that I actually commented, which I don’t often do. I really hope he finds his voice in his journal because he so desperately wants to. But just like coffee, it’s not for everyone. Pure gold from an eight-year-old: “When you’re older, if your writing is sloppy for something really important – like if you’re playing Major League Baseball and you’re writing your contract – and you don’t know how to write, people might not understand what you’re writing.” So true! Excellent article in the Globe and Mail by Dave McGinn about the value of cursive writing, and Liz from Wonder Pens is quoted. And finally tonight this excellent article from theatlantic.com by Josh Giesbrecht on How the Ballpoint Killed Cursive. In his history of the much maligned ballpoint I found an unexpected love song for the fountain pen. 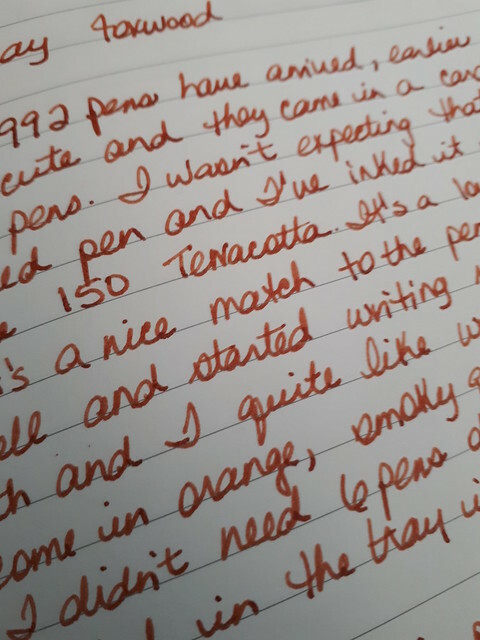 And something I had never considered: ballpoints can cause hand strain and pain, while fountain pens can relieve it. The notion that this could be the reason for the movement away from cursive is very interesting to me. 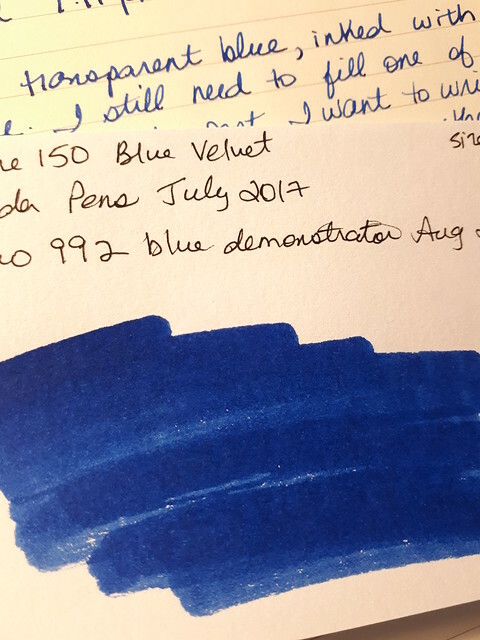 And I love the quote: Fountain pens want to connect letters. 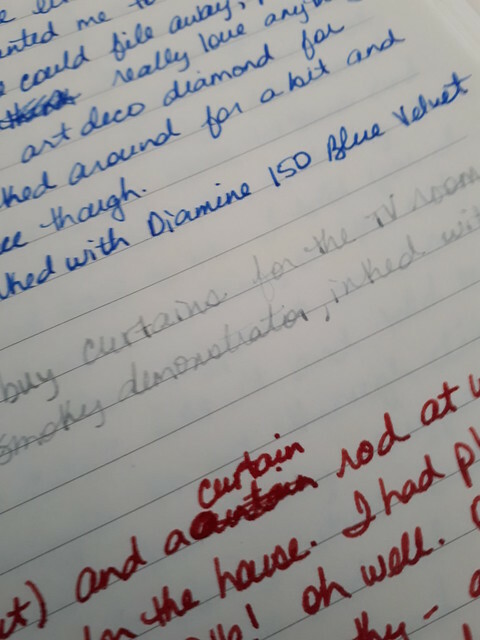 Ballpoint pens need to be convinced to write. 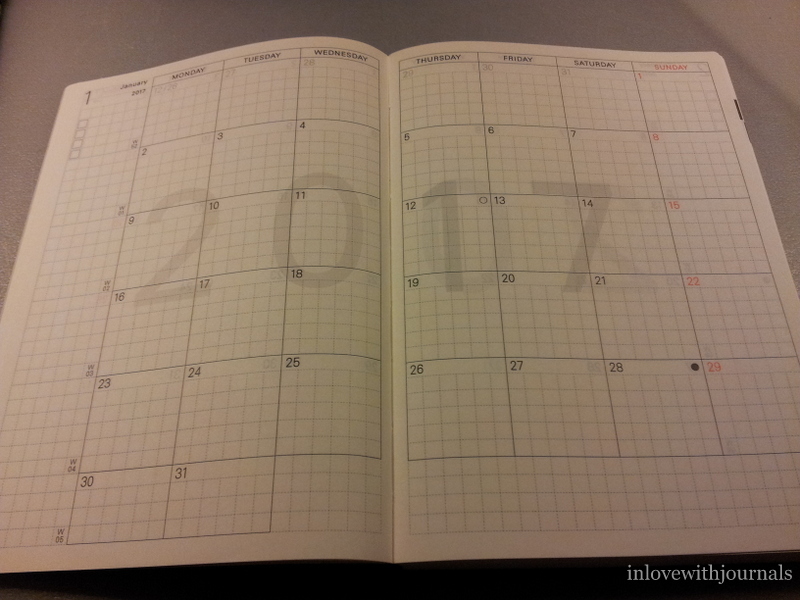 Cast your mind back to Oct. 4 of this year when I wrote this post about my 2016 planner, the Hobonichi Techo. This week I could finally move into it! I wanted to show you the cover I bought for it, and also talk about my initial impressions. 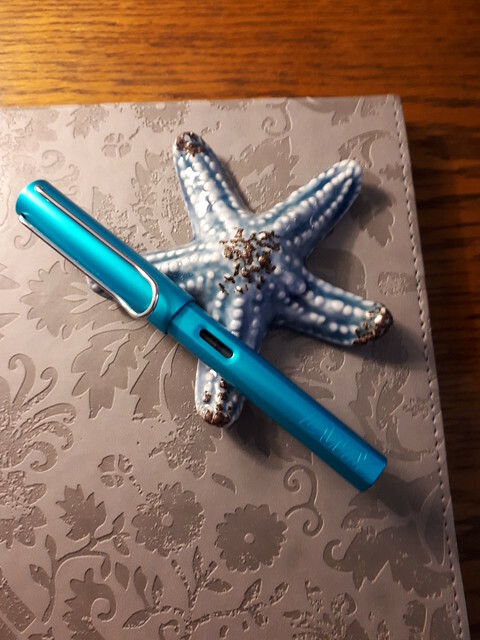 I ordered the cover from Wonder Pens, which is where I purchased the planner too. I love blue and green so this cover was perfect. I don’t know for sure what the material is but it feels like nylon. Very soft to the touch and durable feeling. I’m using the double pen loop to put one pen through, so it acts as a closure for the book as well. 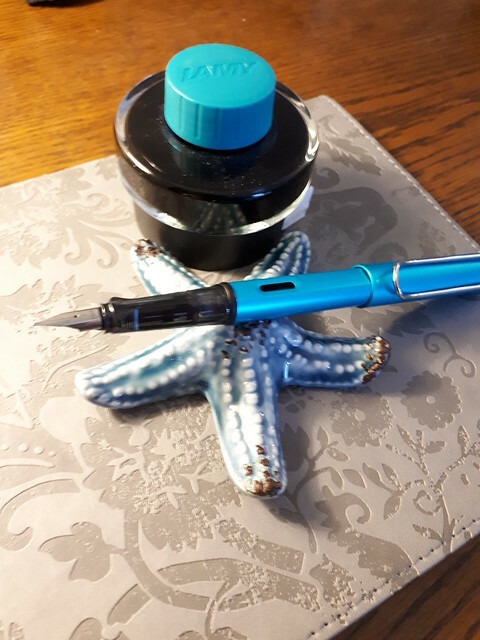 Currently I am using my 5 barrel Pilot Coleto in blue, with 0.5 mm refills. 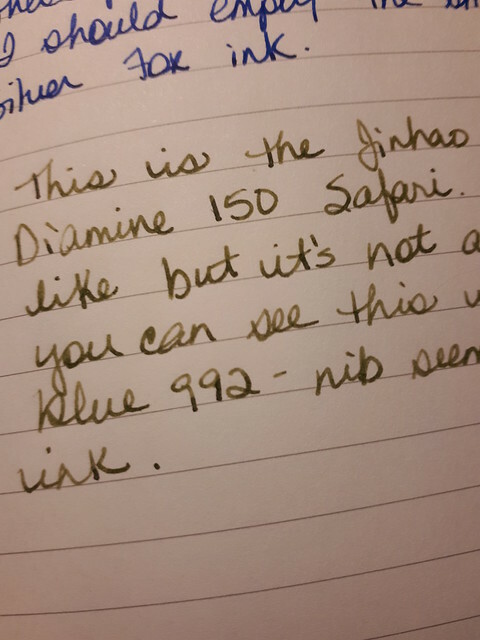 I always have a fountain pen with me and it takes fountain pen ink beautifully as well. The inside cover has lots of slots for cards, post-its or page flags. I will probably put a couple of paperclips in here too. And here is the back cover, with two secretarial pockets. The Techo fits perfectly and it is still slim when closed. Here is the back cover, with another long pocket. The cover comes with two bookmarks attached, one ending in a square piece of vinyl (not sure on the material but it feels like vinyl) and the other in a triangular piece of vinyl. You can use them however you like but I guess they are to mark your place in the monthly calendar and the daily calendar. I’m really enjoying the monthly calendar on two pages. 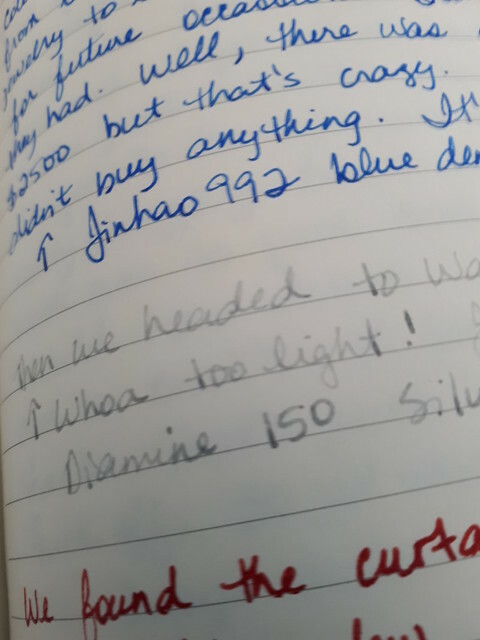 I felt I didn’t have enough room in the Moleskine Pocket Planner but there is more than enough in the Techo. 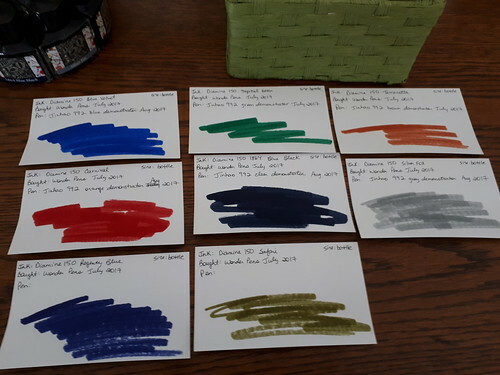 And I love the grid; I actually find myself color coding certain things (appointments and birthdays) because it’s just so convenient to colour in the square. David and I have ongoing chiropractic and massage appointments and I’ve assigned colours to them to save space. This way I can easily see that on the 12th we have appointments from 10 to 12. And of course, the paper. 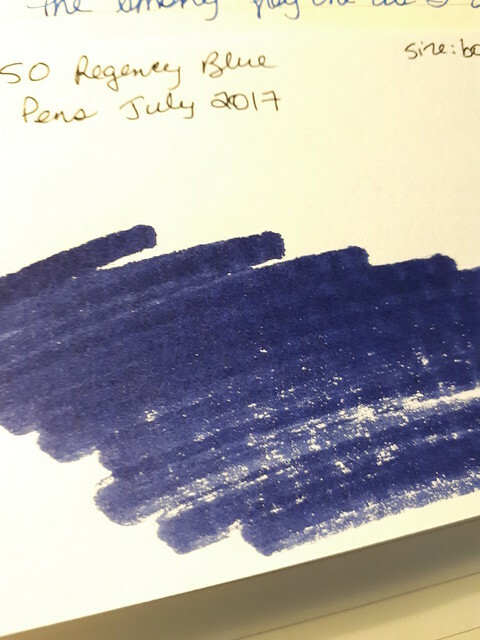 The Tomoe River paper was the big selling feature of this planner for me, and it does not disappoint. 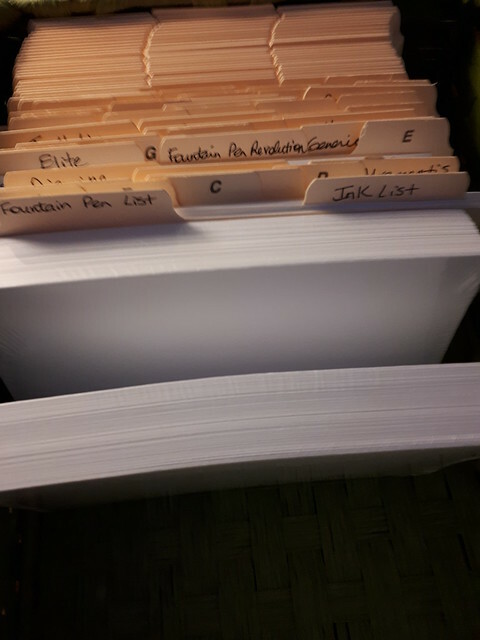 There is a whole year in this thing, of monthly pages and daily pages, and it really does not feel thick at all. It’s very portable and comfortable to use. 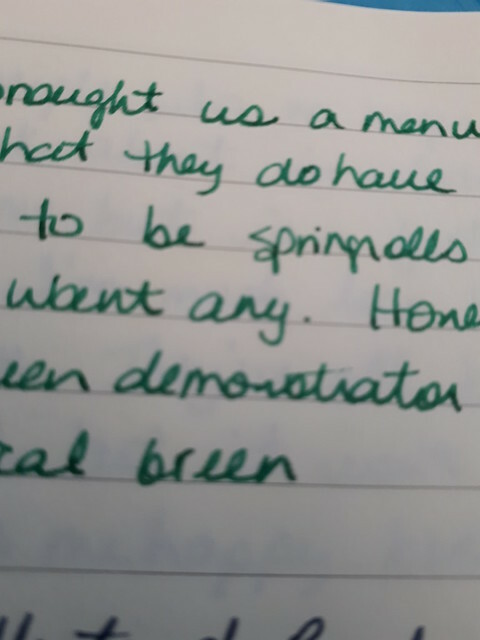 I find myself writing down all kinds of different action items because I have the space. It’s true what they say: if you have the space your ideas will grow to fill it. 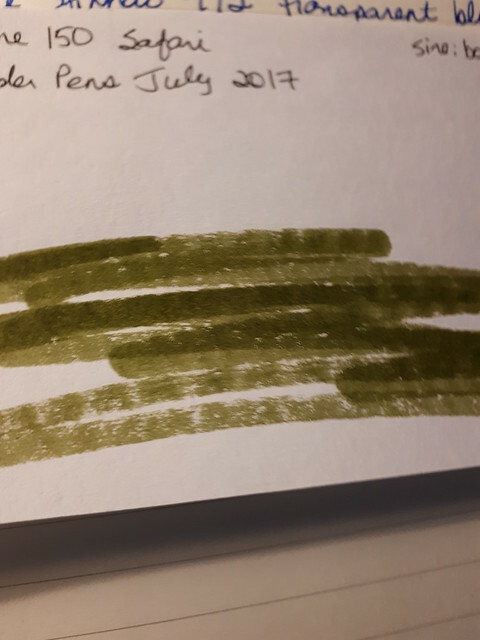 For the remainder of December I have half a page per day and the pages are filling up fast (I know there are more Christmas to-dos than in other months, but still) and I cannot wait until January when I will have a whole page per day. I don’t think I will have trouble filling up the pages but we shall see. This picture shows the months in a shortened form, perfect for important dates throughout the year. It’s like a year at a glance but spans eight pages. There is some show through but nothing major. Sometimes it’s hard not to jump on a bandwagon. 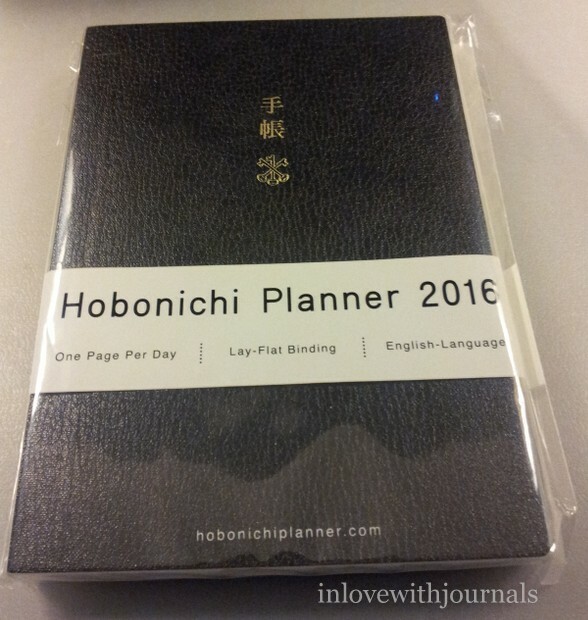 I recently purchased a Hobonichi Techo 2016 in the A6 size, English version. If you search for Hobonichi on YouTube hundreds of videos will be returned. Currently the A6 English version, with a cover, is around $400 Canadian on ebay. I have been interested in these planners for about a year now, wanting to try them because the paper is Tomoe River, the same paper as in the Seven Seas Writer. 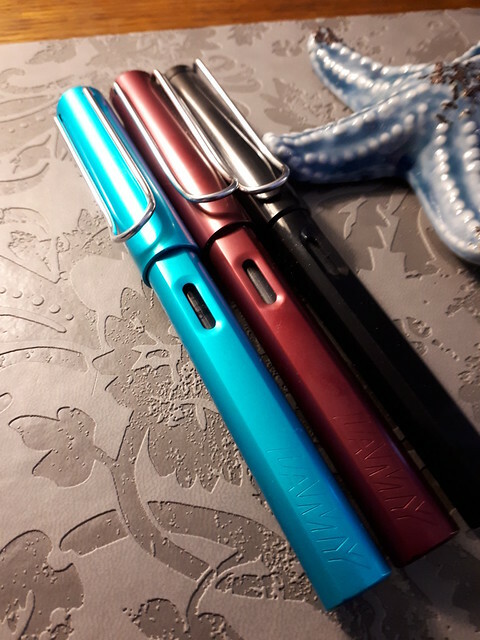 So when Wonder Pens announced on their blog that they would be carrying the Techos I signed up for the email notification without really thinking about it. It was only asking to be notified; I wasn’t committed to buying one. And when I got the email announcement I did pause at the price: $43 Canadian. I went to the Hobonichi website just to see if ordering direct would be cheaper – no. Shipping to Canada was $66! I think I must have done the Yen to Canadian dollar conversion wrong, judging on the swarms of people who are buying them States side, but even if I did get the math wrong these babies are expensive. So Wonder Pens’ price of $43 plus $8 shipping was a comparative bargain. And it is a lovely book. The Japanese characters on the cover stand for te and cho, hence the name. 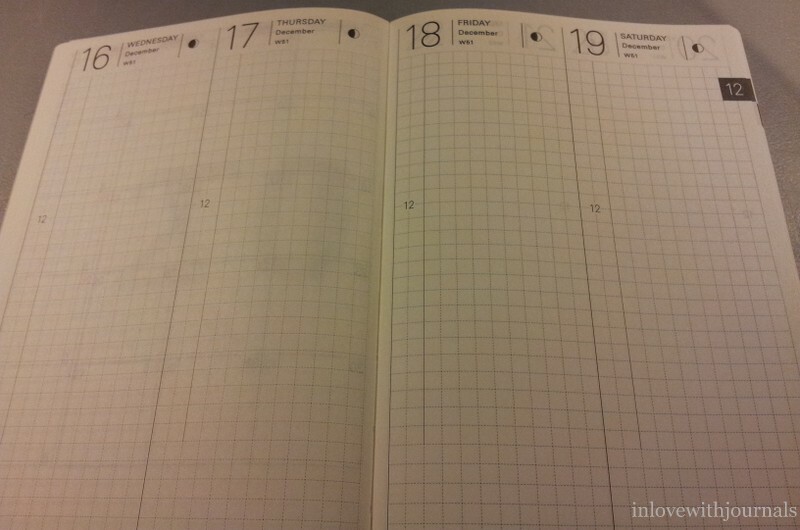 According to the marketing materials: “A techo in Japan is used for more than scheduling an agenda. It is also used as a sketchbook, a diary and for other jottings that together tend to chronicle its owner’s daily life.” These planners are the brainchild of Hobo Nikkan Itoi Shimbun, a very important person at Nintendo, apparently. And they have seemingly taken the planner/journalling community by storm. 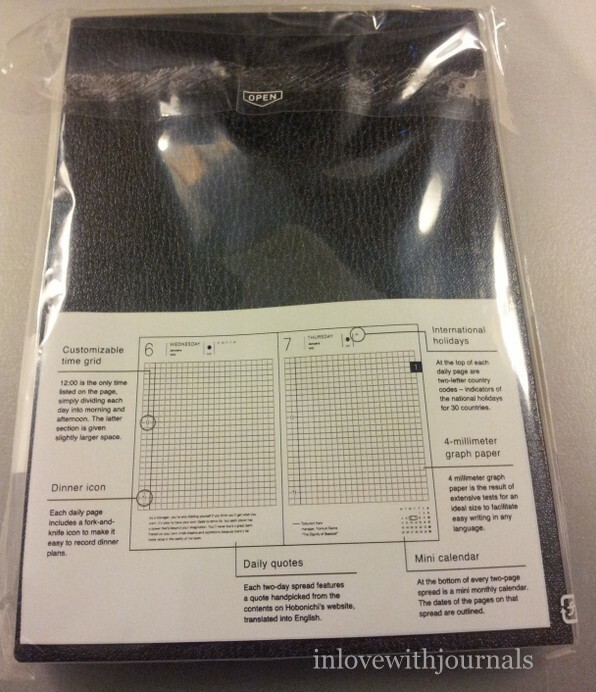 The back of the plastic package shows the day per page layout, with the time grid, the dinner icon, the quote and the mini calendar. The book is sewn so lays flat. The beginning of the book has these monthly pages, with four months to a spread. Good for noting down important dates that occur each year, like birthdays and anniversaries. 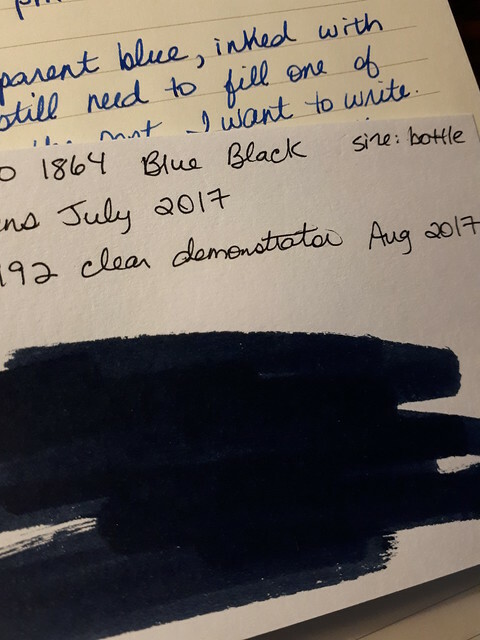 Each month also has a two-page spread, and this is the reason (besides the lovely paper) for the purchase; my current Moleskine is great in the weekly spread. But it’s crap for the monthly spread because it’s too small. I need more than one page per month. I’m cramming appointments and things into tiny squares and it’s driving me batty. 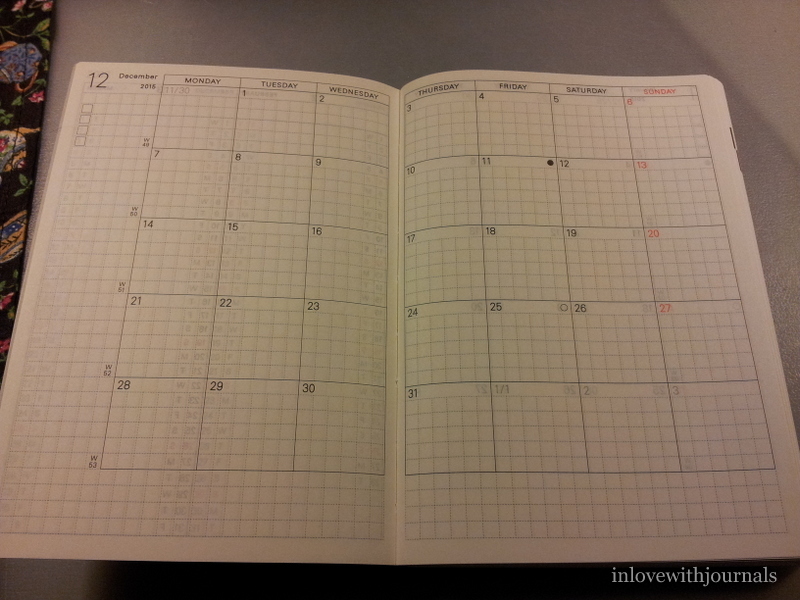 But I enjoy the weekly spread, which the Techo doesn’t have. Boo. But for me if I had to choose just one layout (month, week or day) it would be the month, definitely. So I will just learn to live without the weekly spread. I hope! The planner goes to March 2017. I like how there is no doubt as to which year this page is referring to! I can’t start this planner until Dec 16. There is a monthly spread for December 2015 but the daily pages don’t start until Dec 16; no idea why. And it’s not a full day until Jan 1, 2016. Here is the daily page layout. 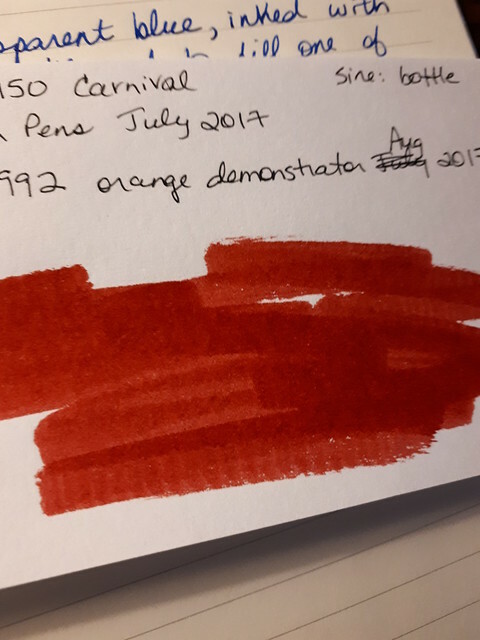 Sundays have red ink which is handy when you are flipping through. The grid layout is nice, for lists and things. 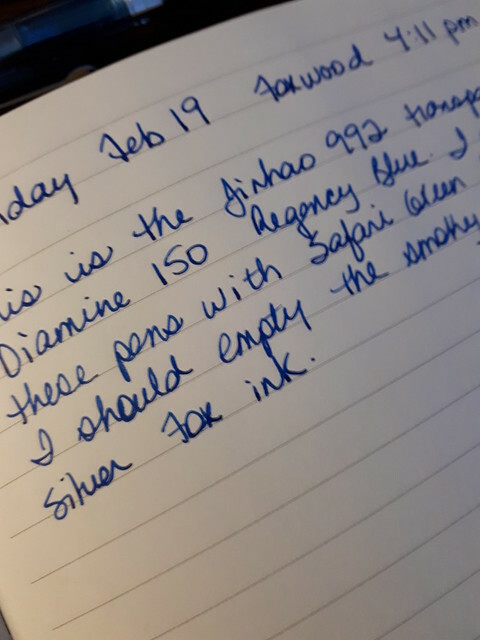 I’m looking forward to seeing how I fare with daily pages. 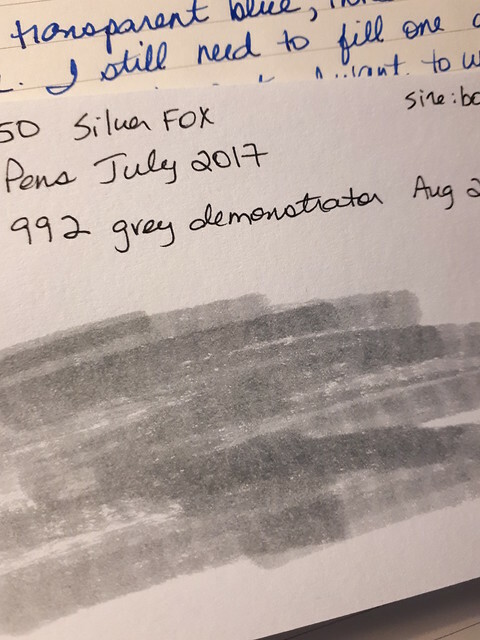 I haven’t used a daily page in a very long time. 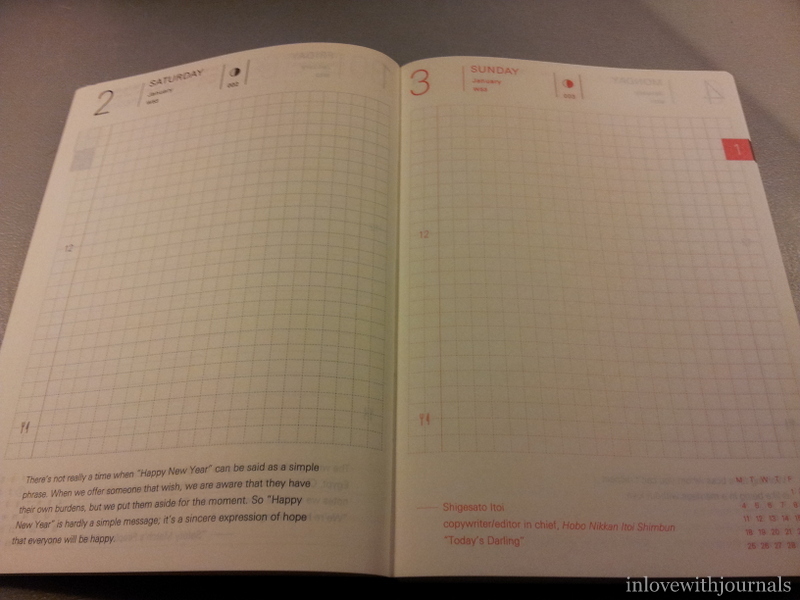 There are a couple of other Hobonichi products which offer weekly spreads. The Cousin, as I understand it, offers a monthly layout, a weekly and a daily. And it’s A5 which is my preferred size. But I understand it is more expensive, not in English and frankly all three layouts in one book seems a tad much. 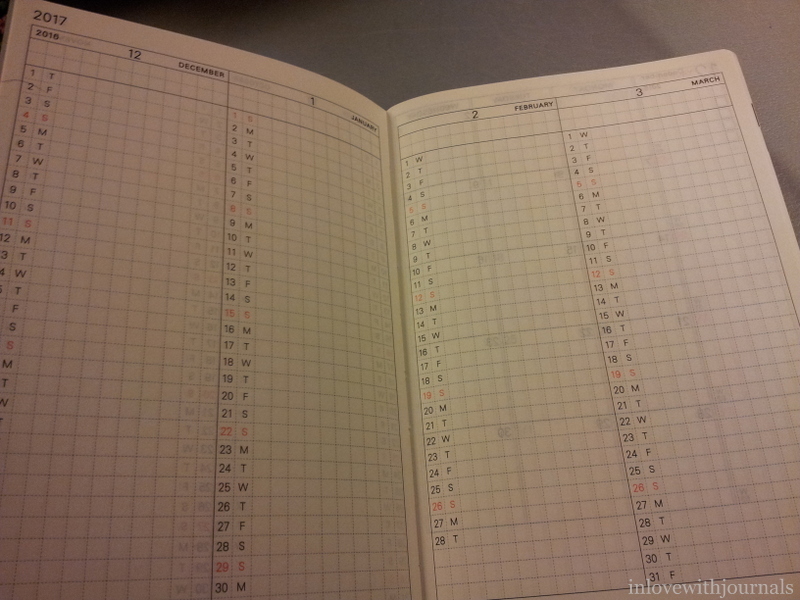 And there is something called the Hobonichi Weeks which I think fit in Midori notebooks. Who knows what I will find myself wanting down the road but I am very happy to start with this little guy and see where I go. There are covers that these planners fit into and Wonder Pens is currently out of stock on the blue and green one that I like. So hopefully by the time I can start using this I will have a cover as well. 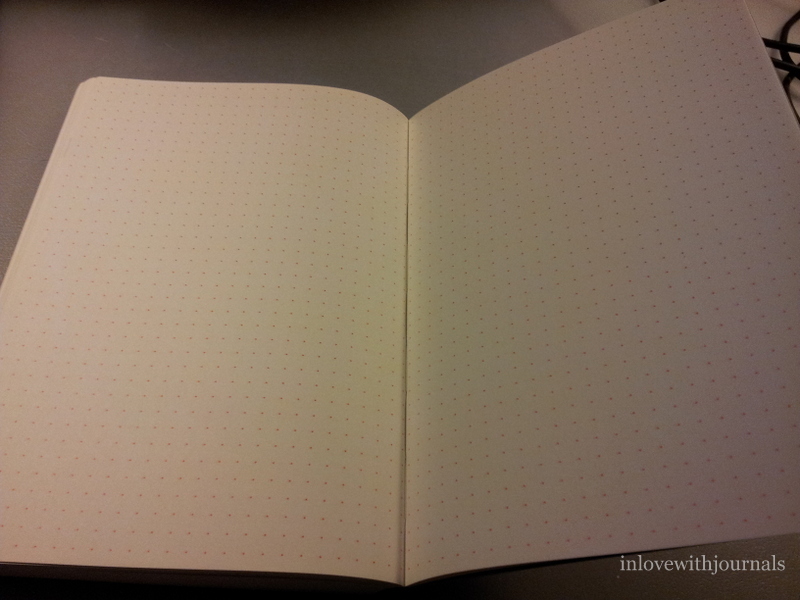 There are a few notes pages at the back of the book in red dot grid format. Such amazing paper. And at the very back of the book are metric conversions, a printed ruler, international dialing codes, etc. There is also information about Japan and how to have an amazing Japanese dining experience. 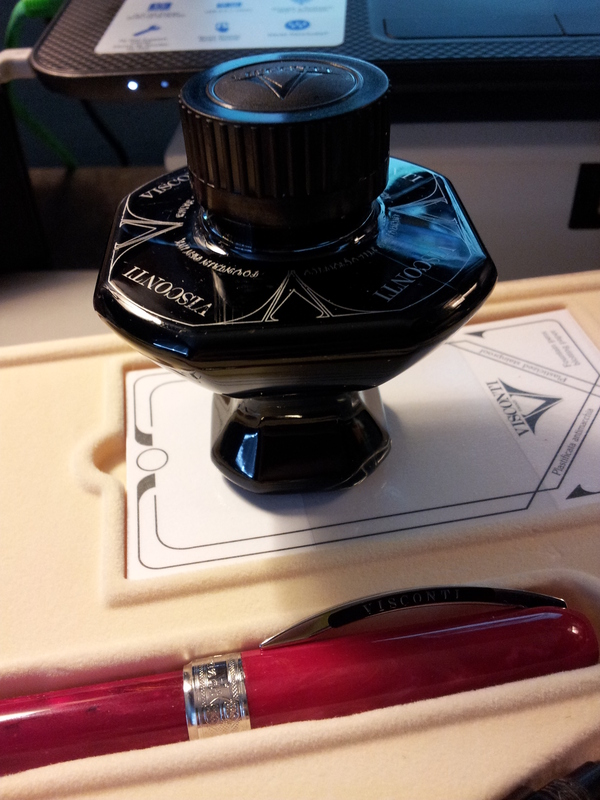 So today I say goodbye to the Cadence pen and say hello to the October pen: my Visconti Rembrandt in red. Yay!! 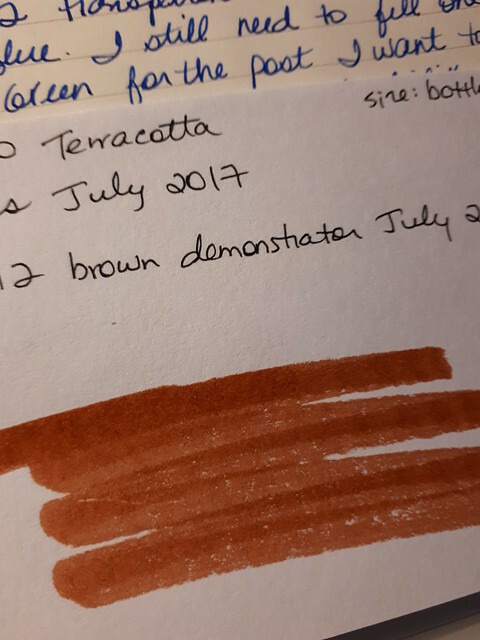 I haven’t used that pen for a long time and I want to try my new Vineyard Burgundy ink in it. I will choose the pen for November on Oct 28. 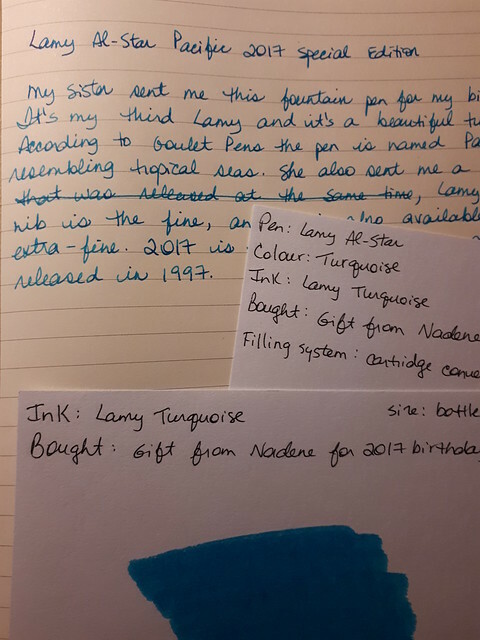 Purchases: My packages from Wonder Pens and Franklin-Christoph have arrived so I will be writing posts about those goodies very soon. I have not made any other purchases since Portland. I have started my Christmas shopping. Each year I try to finish completely by December 1 so I can avoid December crowds. Some years are better than others for achieving this, so I start early. 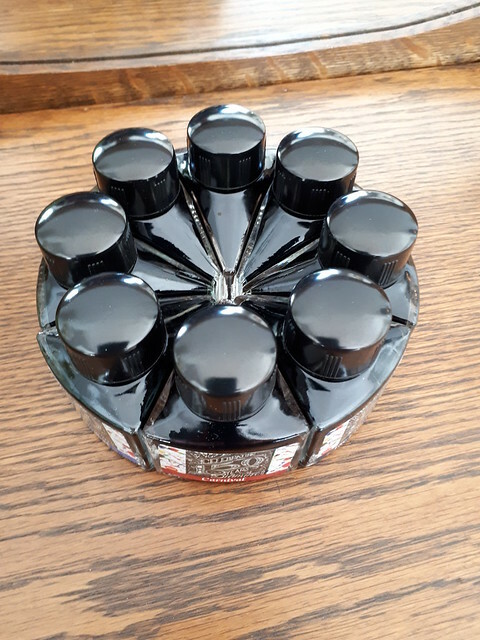 I wanted to buy a bottle of ink as a gift and of course I have to do that well in advance of the snow. So that at least is done. Went to the Calgary Home and Design Show. My niece Emily’s company, Zencapes by Emily, had her “official” debut with her handcrafted miniature gardens. She’s on Facebook, Pinterest, and Instagram, and probably other places her old aunt (me) hasn’t heard of. Check out her magical creations – you will fall in love! Our trip to Portland, Oregon was magical. We crammed three days’ worth of stuff into 24 hours. The hotel, the Crowne Plaza Portland, was amazing. The shopping, food and people were awesome. 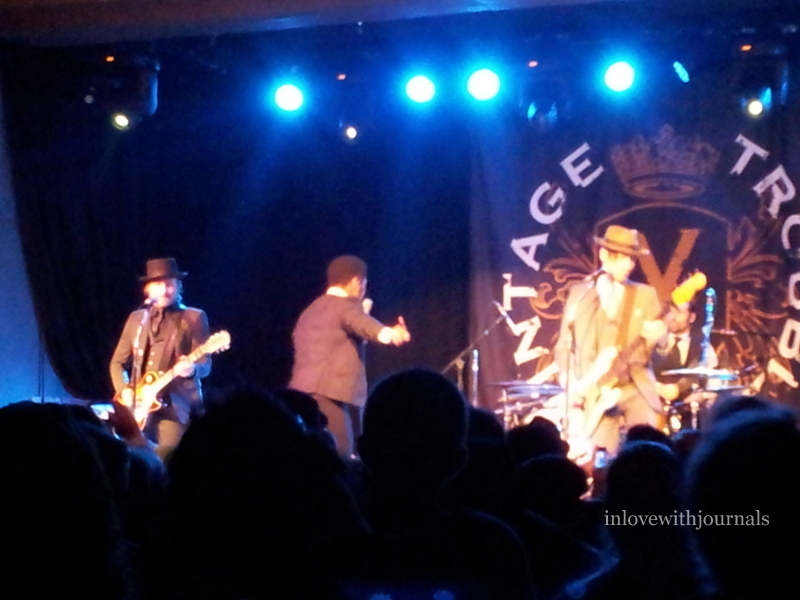 And Vintage Trouble were fantastic. We got to meet them and they are the nicest guys around. The drummer hugged me and the guitar player asked us how they sounded! And then proceeded to fist pump David and wish him a happy birthday. They have an unbelievable connection with their fans that they work hard to maintain. An experience we will NEVER forget. Check out the Vintage Trouble website and buy their stuff. You will not be disappointed. 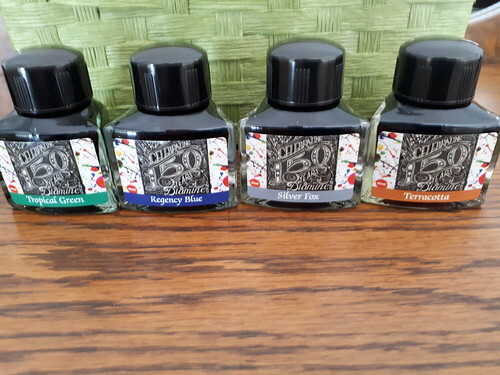 Liz from Wonder Pens mentioned on their blog this article from The Newsprint in which Josh Ginter chronicles one year of his journaling efforts. And it is quite the effort. I really enjoyed how he integrated his analog efforts with a digital repository so the content is searchable. He is a devotee of Field Notes and the Hobonichi Techo. 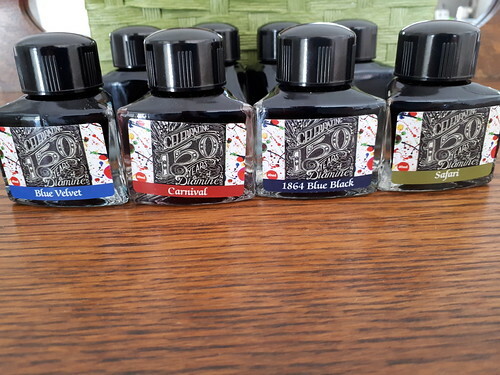 And of course, fountain pens. Ballpoints lack the character and the zeal necessary to keep an inspired journal or diary. 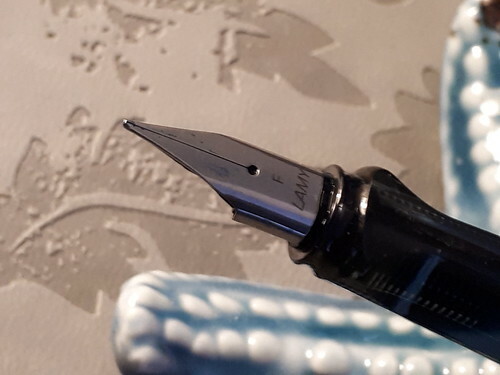 The flow of true ink — not the garbage found in a disposable pen — into the fibers of the paper brings the writing a little closer to home. 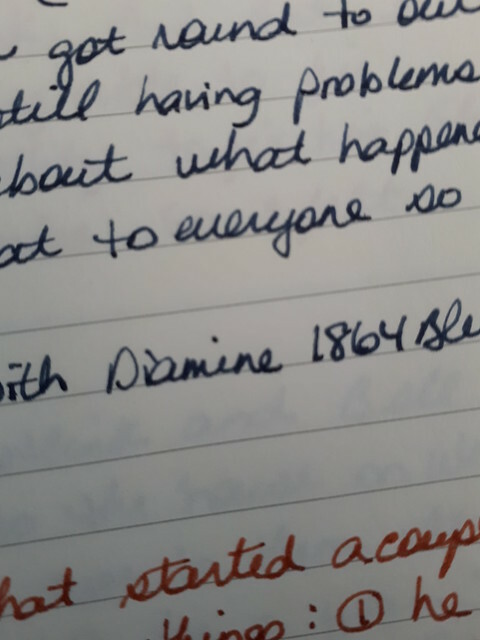 Increasing the passion and decreasing the friction, I believe, is the key to lengthy journal habits. 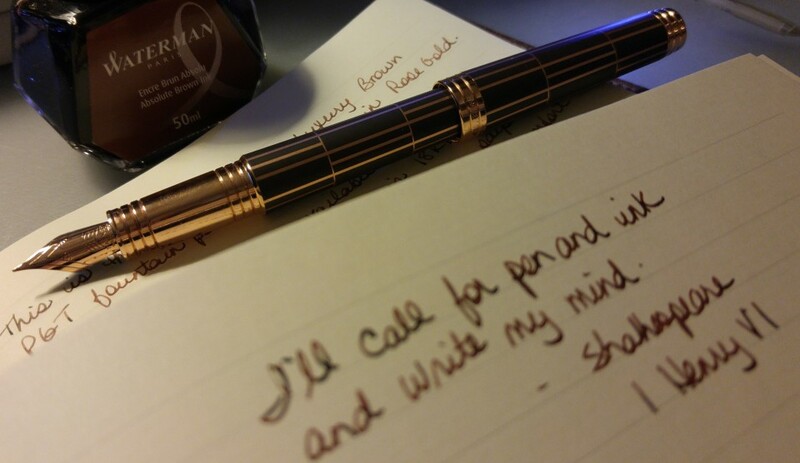 For me, fountain pens do the trick. And finally tonight here is another article from Mr. Porter discussing the favourite fonts of five graphic designers. I like Blender, the font nominated by Chip Kidd, Associate Art Director of Knopf (the best publishing house in the world). Which one do you like? P.S. Journal Writing Wednesday will not be published this week as I will be travelling. It will return on the 30th.